Your smile can be your best asset, or it can lead to social embarrassment and personal disappointments. You deserve a smile that makes you feel more confident and successful. Our cosmetic dentist in West Hollywood can help. We offer comprehensive dental care that is specifically designed to meet your smile needs. Our Blue Cross PPO dental insurance dentist in West Hollywood believes that each of our patients deserves a great smile, and we work with them to make it happen. Whether you just need a little touch up or more extensive dental care, we have options for you. Our dental services include preventative dental care, routine dental care, cosmetic dentistry, orthodontics, endodontics and restorative dentistry. We regularly perform smile makeovers and full mouth reconstructions for our patients, and we offer ongoing dental care that can keep their smiles at their best. 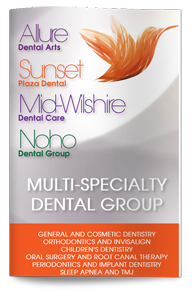 At Sunset Plaza Dental, your smile is our priority. You will feel the difference from the moment you walk through our doors. Our boutique-style office is equipped with the latest technology and state-of-the-art treatment options, but we have taken care to ensure that it is still warm and relaxed. Our office staff is friendly and compassionate, and we will go the extra mile to keep you comfortable and right at home. Whether you are looking for a new dental home for routine dental care and checkups or you have a serious dental problem that requires extensive treatment, our committed dental professionals are ready and able to give you the tools you need to get and keep your smile on the right track. Contact our offices today to learn more or to schedule your consultation with our West Hollywood Blue Cross PPO dental insurance provider.